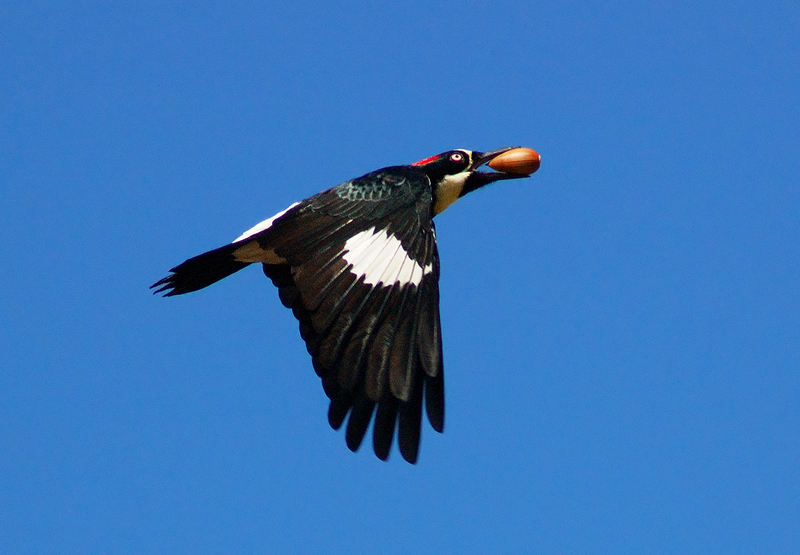 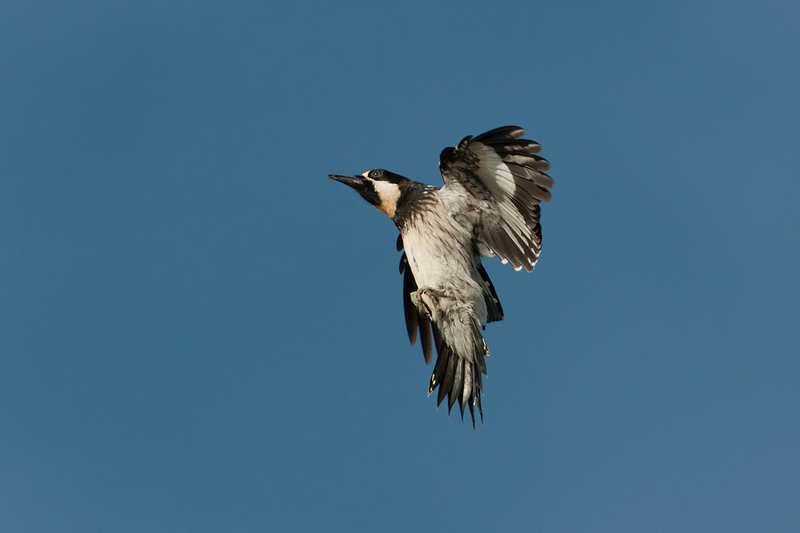 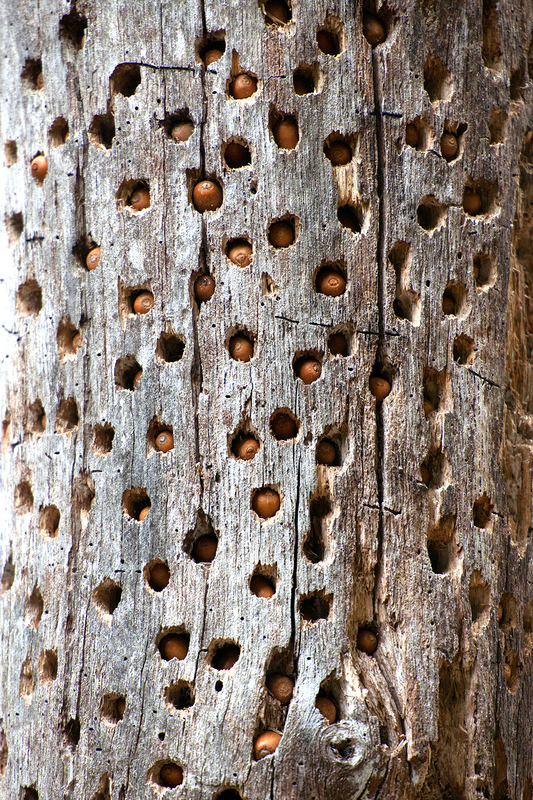 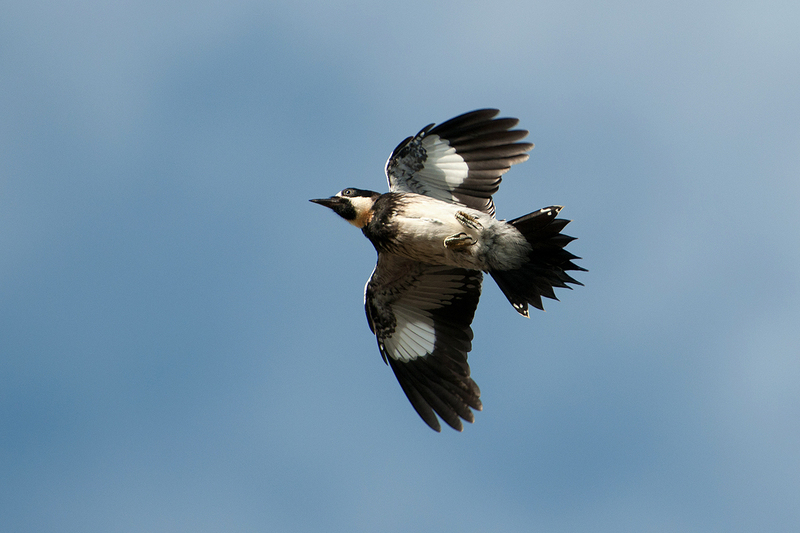 I love Acorn Woodpeckers. 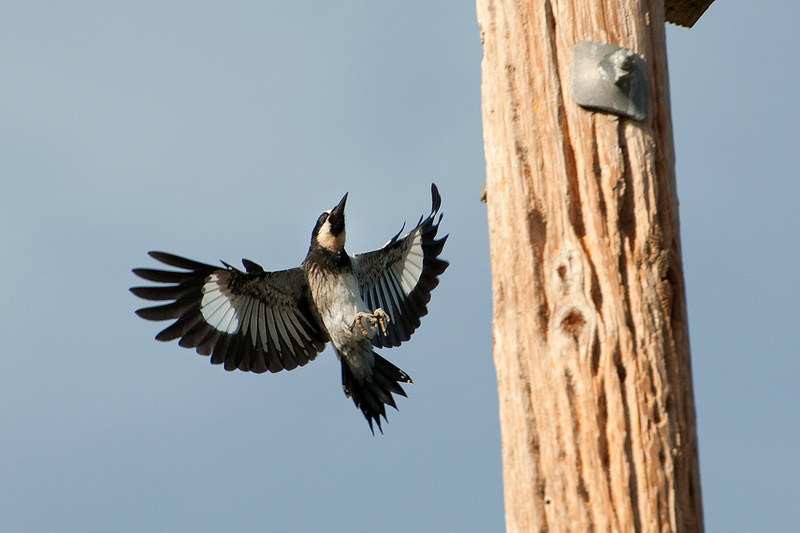 Maybe it’s their clown-like raucous character or their striking plumage – whatever it is they always delight me. 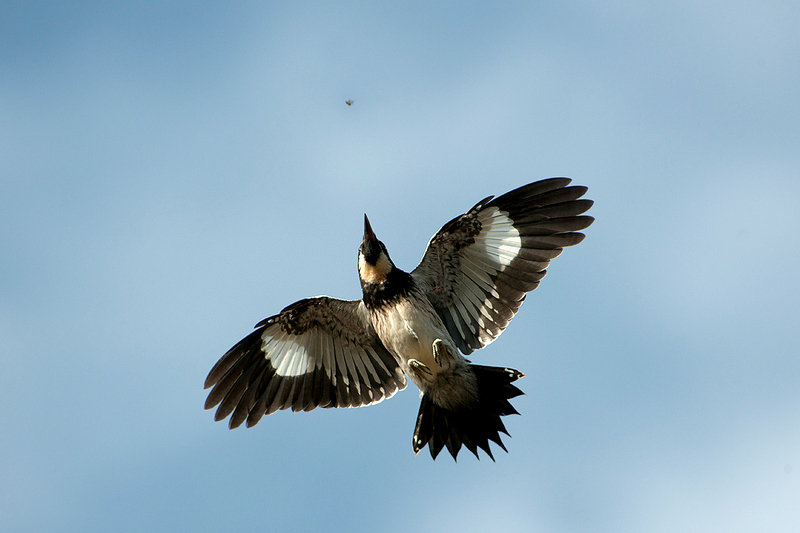 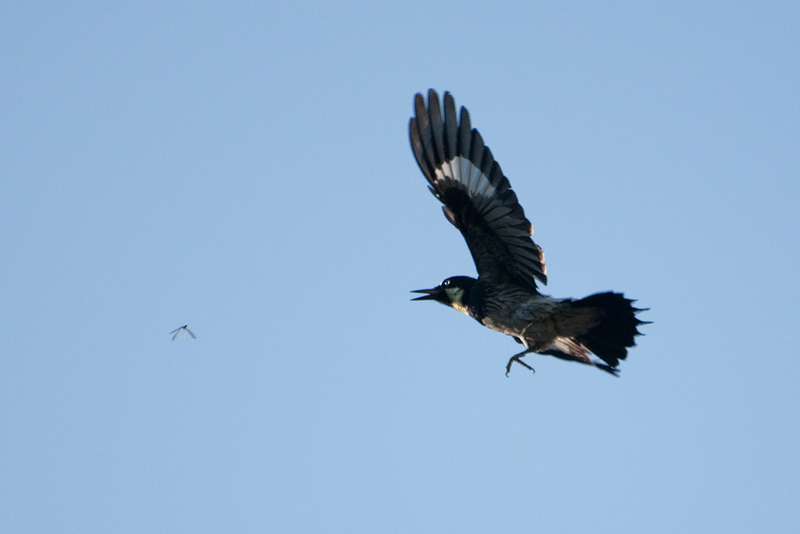 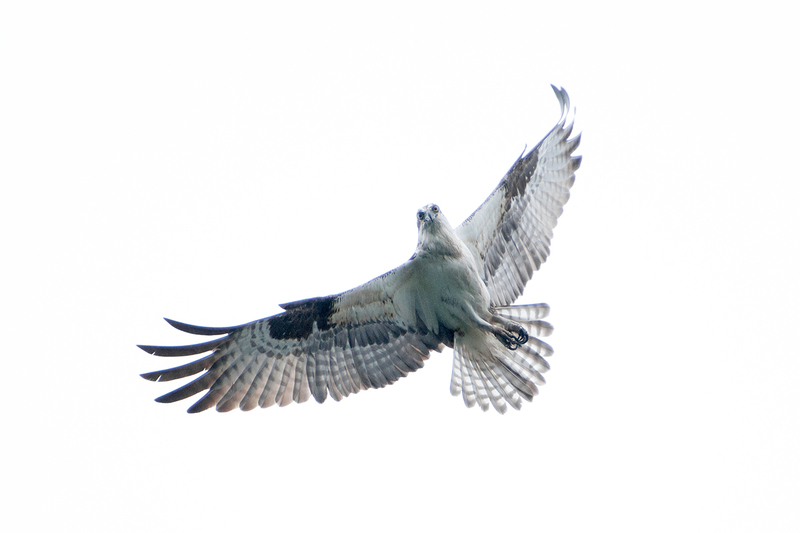 This female decided to hawk insects above my head for a few minutes and it was amazing to watch her pick nearly invisible bugs from the air. 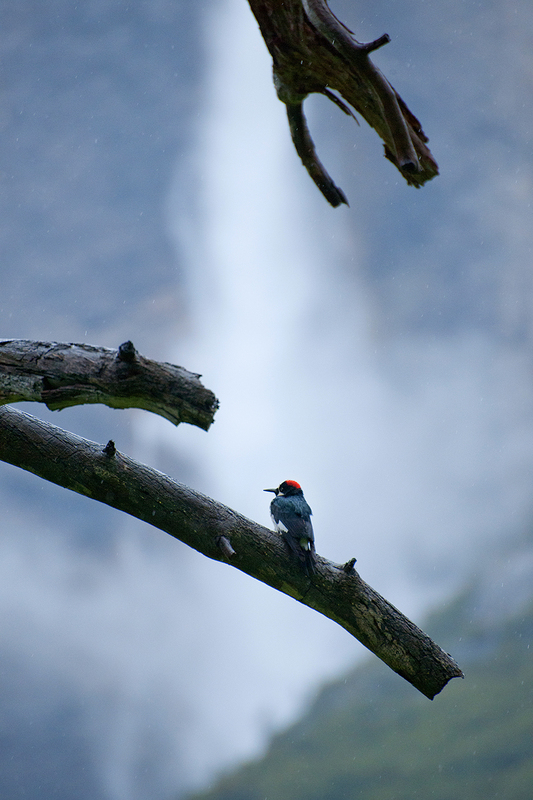 An Acorn Woodpecker in the drizzle, backed by the splendor of Yosemite Falls.